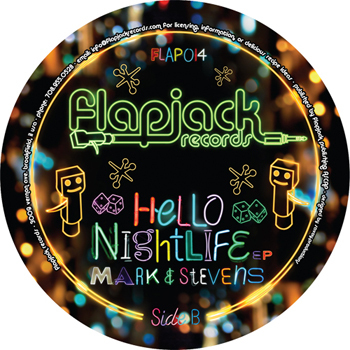 Nuno Santos & Diogo Amado on Flapjack Records present some of the sweetest and funkiest tunes of these months. “I was livin in Chicago, Lil Louis was playin”: that’s how this EP starts. The first track is full of Chicago sound, with beautiful and expressive keys, and nostalgic lyrics. “Prom Night” is something that you don’t hear everyday, nowadays. The second track, “Cold Blood & Smooth” is a refreshing tune perfect for giving a special sense of thoughtlessness and calm yourself while it plays. Nice guitar rhythms and good vocals makes “I Want Your Number” the dancing part of the EP in case you just need to uplift the crowd, while “Cymbalaws” represents the other part, the deep one, with different guitar chords, more reflexive, for a more emotional closing.